eLEARNING-200 is a flexible learning system which offers a total of 13 courses covering technologies in automated systems. Users have the option to take actual classes and additional internet courses when it suits them. 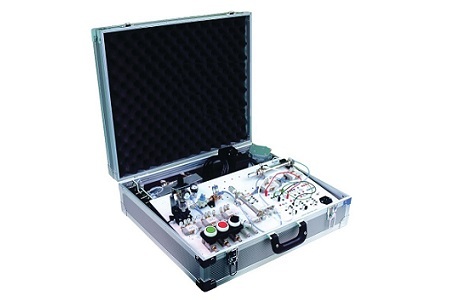 Pneutrainer 200 is a fully modular and flexible system designed for the development of professional skills related to pneumatics and electro-pneumatics technologies and meeting all types of user requirements. autoSIM-200 is a software for training in automation technologies that allows users to try their programs on a virtual system before applying them to a physical system. 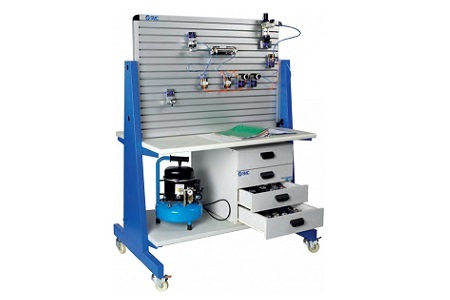 The MAP-200 series "Handling System" consists of seven independent and different raining systems to study various mechanical handling techniques. They can all incorporate TROUB-200 trouble-shooting simulation system. 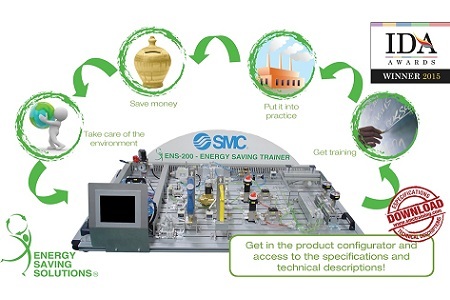 ENS-200 integrates a series of applications (vacuum, actuators and blowing) aimed at understanding and implementing methodology associated with energy saving in compressed air installations. 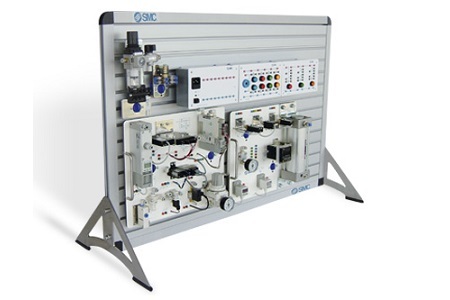 Pneumate 200 comprises of a panel with pneumatic and/or electro-pneumatic components depending upon the option selected by the user and comes with rapid connections to speed up the practical exercises. 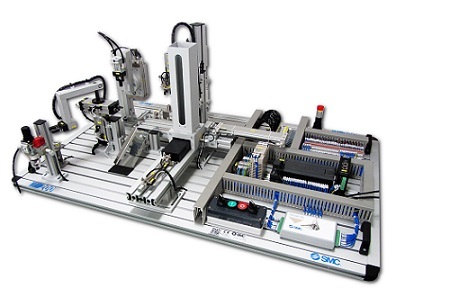 AUTOMATE-200 gives users an integrated and motivating context to become familiar with technologies such as pneumatics, sensors, PLCs, etc. VAC-200 is been designed, a didactic system specially devised for the development of skills related to Vacuum technology. The modular features of the equipment allow the user to design various configurations.